I think we’re doing something right. I always want to project positivity when it comes to GLBTQIA topics and this post is no different. When I was young, I can remember people I knew making fun of Freddy Mercury being gay (and I’ve learned in recent times, that he was bi) and some of my friends commenting about The Crying Game and how the girl was really a guy (which fascinated me but to this day, I haven’t seen this movie) but apparently this was icky to them. I couldn’t have disagreed more and I did back then, before I was shot down and told to stop being weird. I could go on but my real point is how different this is today. When I watched Guy Code on MTV (which if you haven’t watched Girl Code, I highly suggest you watch it for the lulz) there was a section about “Gay” and all of them were like “hey, it’s cool” and another one said, “Homophobia is not cool. If someone is bashing my gay bro, I’m gonna be like stop or GTFO.” This is how teens, tweens, young adults and new adults are thinking and acting. It really makes me smile to see this. Laverne Cox has a recurring role on Orange Is The New Black and I can firmly tell you that when I was a teen, this wouldn’t have happened. It should have but it didn’t. Famous GLBTQ people lived in the shadows until a few people took risks to come into the light and live their lives in the open. I’m so glad they did. When my sister’s best friend came out as trans, everyone accepted he was a guy. It freaked my dad out at first but now he is cool with it too. You know, things aren’t perfect. I doubt they ever will be ideal but I really do think (and hope) that our world is getting better and we (GLBT authors and readers and allies) are making a difference by just being here. We are definitely not a fad or a phase and we aren’t going away anytime soon. *big hugs all the way around* Keep at it everyone! This contest is closed and I’m notifying the winner. Thanks for participating! Please feel free to hop around! 23 Responses to #HAHABT – I think we’re doing something right. There are more and more TV shows, novels, etc. with gays and trans and that definitely show that they are more and more accepted in our society! I think LGBT authors are really making a difference, because how can one read a great novel and not want the two heroes to end up together? Their gender do not matter, only their love, and I think a lot of people discover that more by reading a novel, than by listening to arguments for and against gay marriage for example. I think what you guys are doing is spectacular. It takes someone special to share themselves for a cause. I agree that things are changing for the better. And I will continue to help bring those changes when I can. Oh my God, Girl Code is one of my hubby’s fave shows lol. Seriously, he’ll watch it all day! Lol! What they say can be so true and way funny. Thank you for the post! I also think things are getting better but there is still so much left to do and there are so many people who still do not understand! So true! We have to keep working with them and never give up fighting. So true, the world is changing and i hope the changing will continue for the better. Like you say it will never be ideal but then again nothing ever is 🙂 but to come close to ideal would be great i think. Thanks for this post and the giveaway chance! Hi Lori, yeah I think that some parts of the world are doing something right, but there are some places that are going back in time and we have to keep an eye on those. Thank you for the post! It’s always heartwarming to see that progress is being made, especially with the younger generations. I want my children to grow up in a better world were they will be accepted by their peers and others. I know there’s still much to do, and this blog hop is fantastic. I try to do what I can to make things better, even if it’s as simple as starting at home with my children. I think all the sharing of stories (in the media and everyday life) really helps, putting human faces on these issues…it all starts with seeing each other as people! 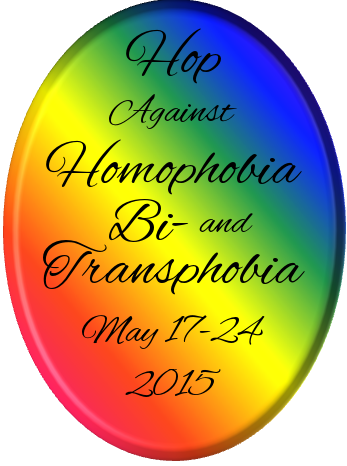 Thank you for the post and for taking part in the hop to help spread awareness!! It all comes down to our world reflecting the people who exist in it. Thankfully, the younger generations seem to be getting that part right. They are tired of the entertainment industry and government not being the mirrors they should be. Let us hope that they (as well as us older folks) keep fighting to make sure the necessary changes happen! Thanks for the post and being part of such a wonderful hop.